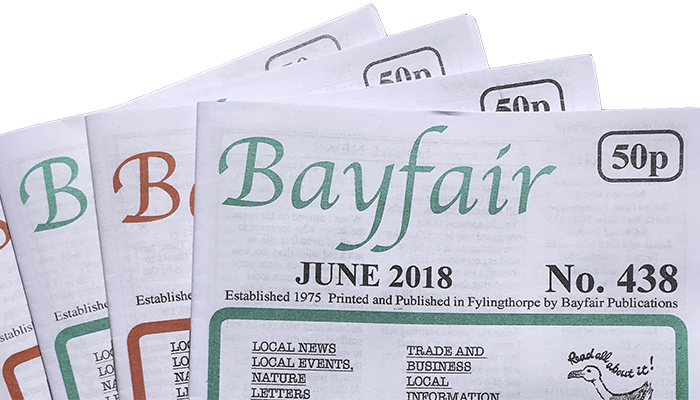 Receive your Bayfair through the post every month for a whole year! 11 copies from the month after you subscribe. Never miss whats going on in your favourite Yorkshire Coast Village.